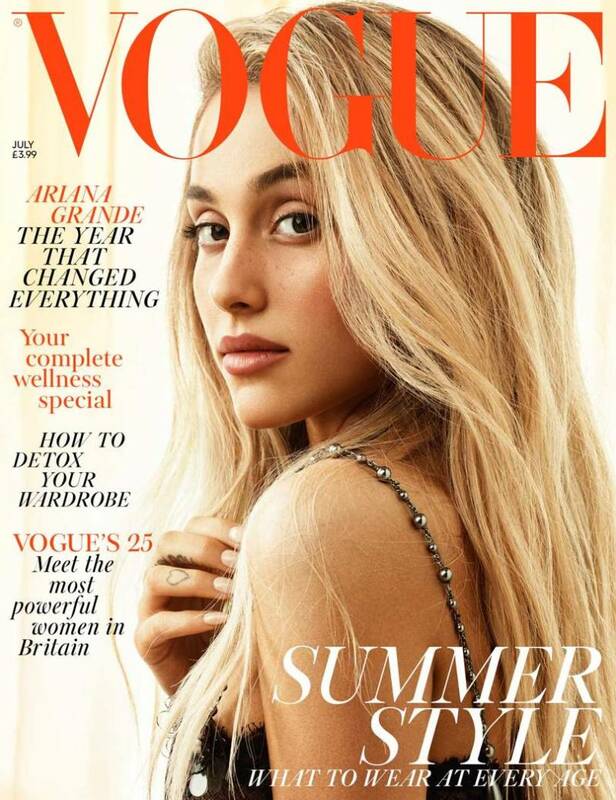 Ariana Grande is cover star of the July 2018 issue of the British Vogue. The 24-year-old singer appears without her characteristic ponytail and cat eye, but with loose style hair and a minimalistic makeup look. Lensed by Craig McDean and styled by Kate Phelan, Ariana wears a lace Chanel dress with jeweled straps from the Autumn / Winter 2018 collection. Hair and make-up were done by Chris Appleton and Mark Carrasquillo respectively. 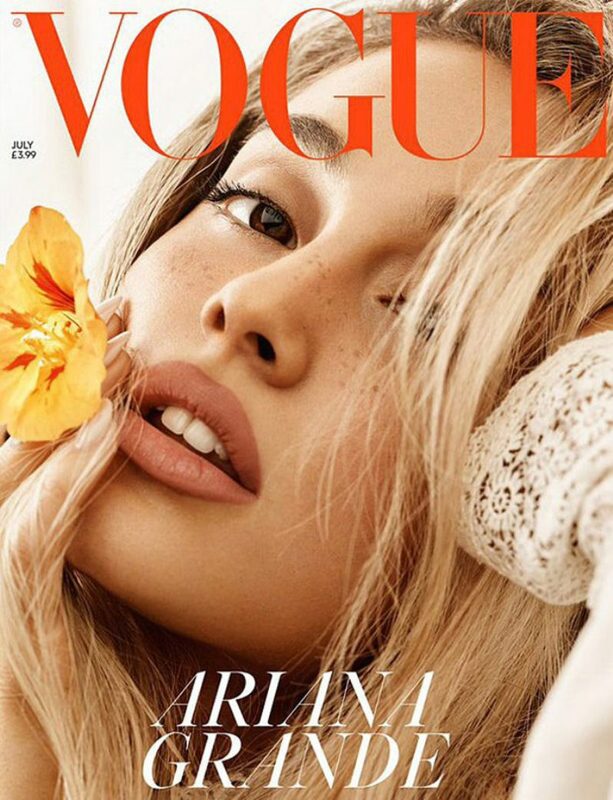 There is also another version of the cover, for subscribers, which features a close up of Ariana holding a flower while her freckles are clearly visible. The July issue of Vogue UK is out on newsstands.